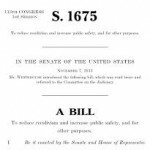 Recidivism Reduction and Public Safety Act of 2014 – (Sec. 2) Directs the Attorney General to: (1) conduct a review of recidivism reduction programming and productive activities, including prison jobs, offered in correctional institutions; (2) conduct a survey to identify products currently manufactured overseas that could be manufactured by prisoners without reducing job opportunities for other U.S. workers; and (3) submit to the House and Senate Committees on Appropriations and the Judiciary a strategic plan for the expansion of recidivism reduction programming and productive activities, including prison jobs, in Bureau of Prison facilities. Amends the federal criminal code to direct the Director of the Bureau of Prisons to make available appropriate recidivism reduction programming or productive activities, including prison jobs, to all eligible prisoners and to assign such prisoners to such activities using the Post-Sentencing Risk and Needs Assessment System developed by the Attorney General. Defines “eligible prisoner” to mean a prisoner serving a sentence of incarceration for conviction of a federal offense, but excludes a prisoner whom the Bureau of Prisons determines: (1) is medically unable to successfully complete recidivism reduction activities, (2) would present a security risk if permitted to participate in such activities, or (3) is serving a sentence of incarceration of less than one month.